RightBooth lets you create Menu events​. A menu event typically contains a single screen having two or more choice buttons that ​behave as an on-screen menu. Each of the buttons can be linked to one of your other event files, allowing you to present event choices to your users. 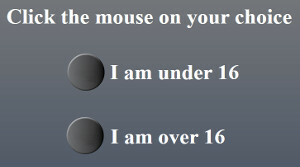 For example, assume you have created two events, one designed for adults, the other for children.